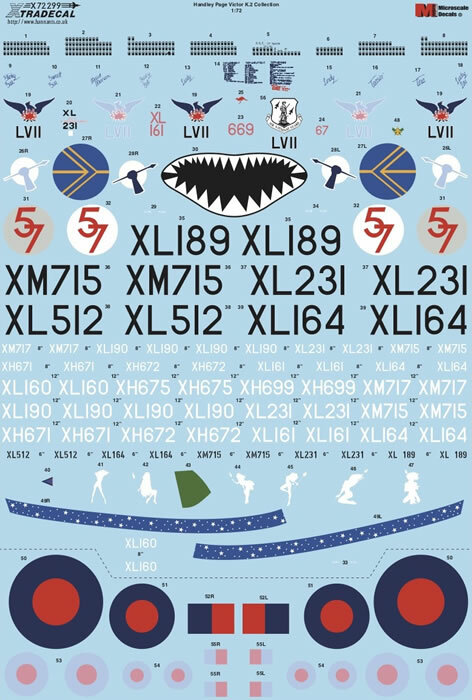 High quality decals; full colour instructions; wide selection. 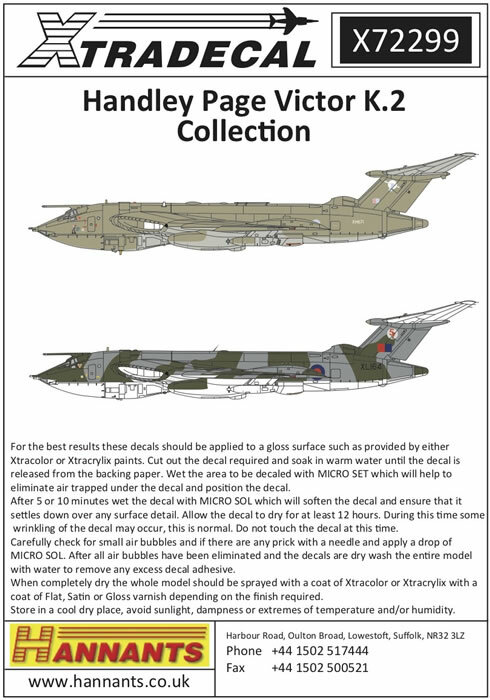 This is a high quality decal release for the forthcoming Airfix or the existing Revell 1/72 scale Victor K.2 kits. 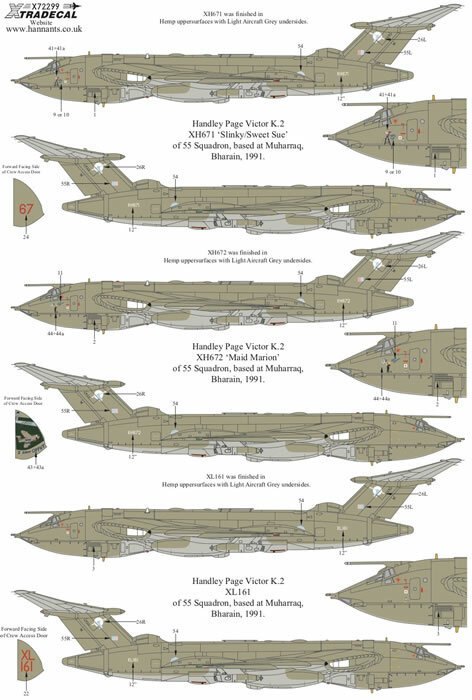 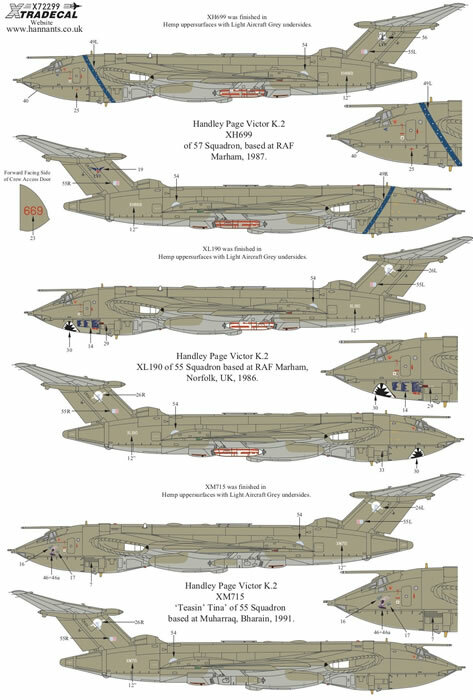 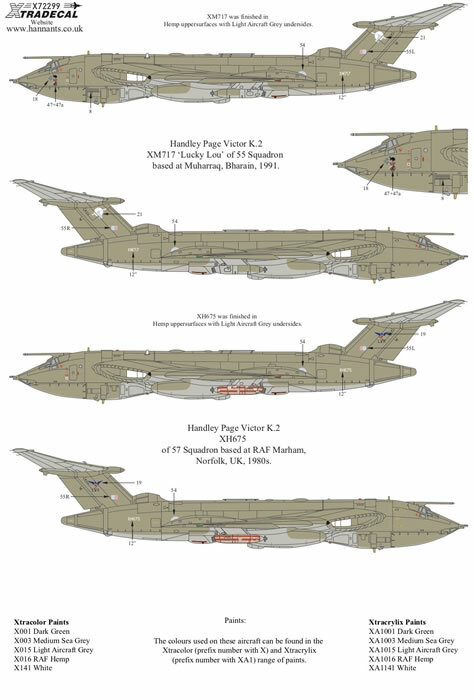 Xtradecal has just released a new decal set in good time for the latest in the Airfix 1/72 scale Handley Page Victor family, the K.2. 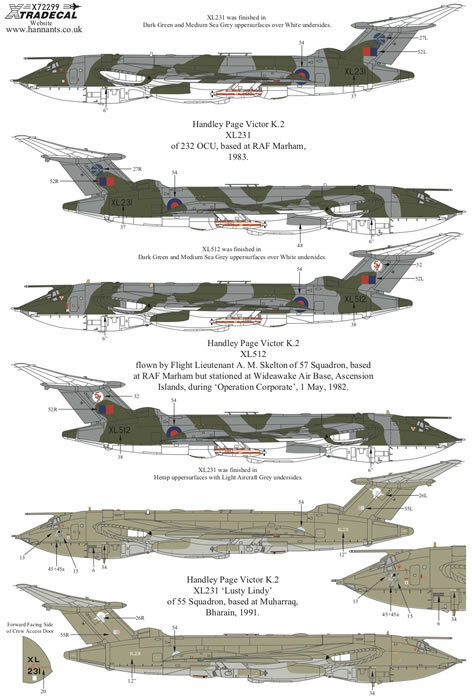 Revell has an old kit of this Victor K.2 but most modellers will prefer to wait for the forthcoming Airfix kit, due for release in September. 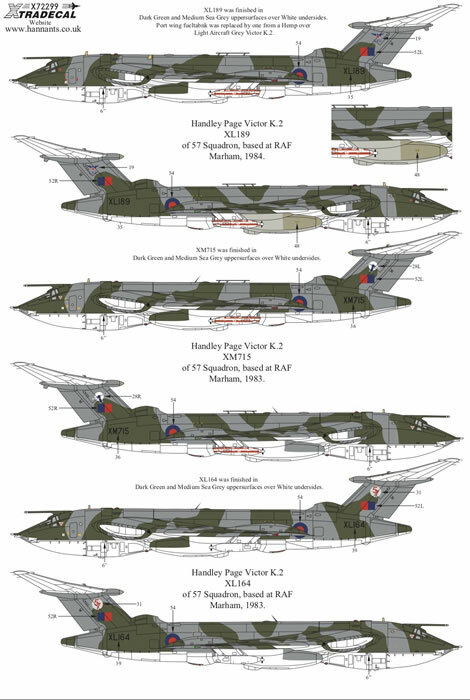 A whopping 17 schemes are offeredon this new release - five in Green / Grey camouflage and 12 in Hemp. 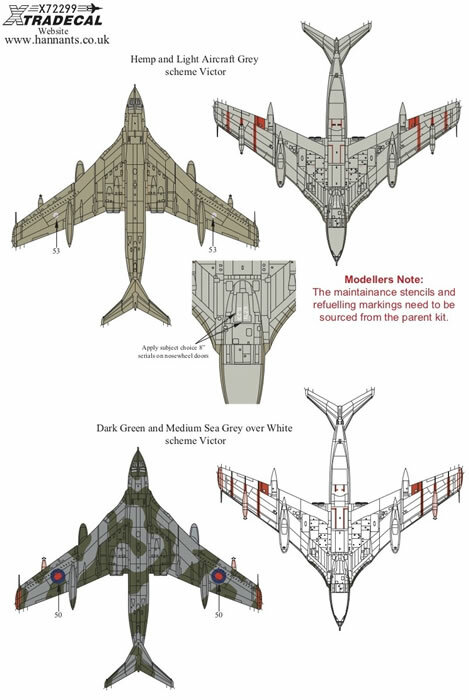 Left and right views are offered for all 17 subjects, while the upper surface pattern for the two schemes are also included. 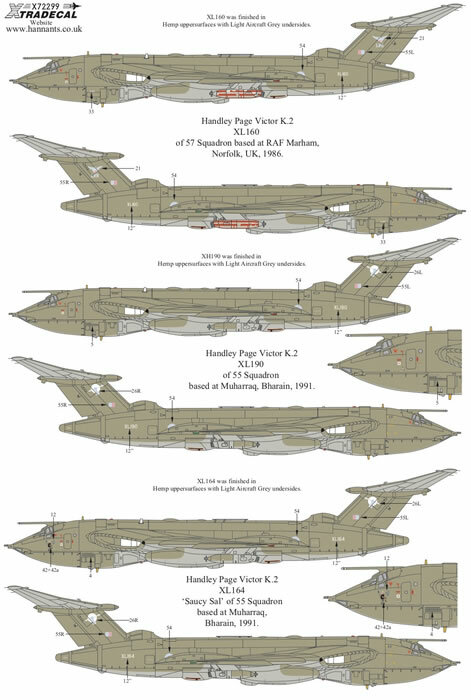 One set each of two styles of roundel are also included.